The shocking family suicide attacks in Surabaya this month somewhat overshadowed another disturbing event in Indonesia that took place only a few days before. 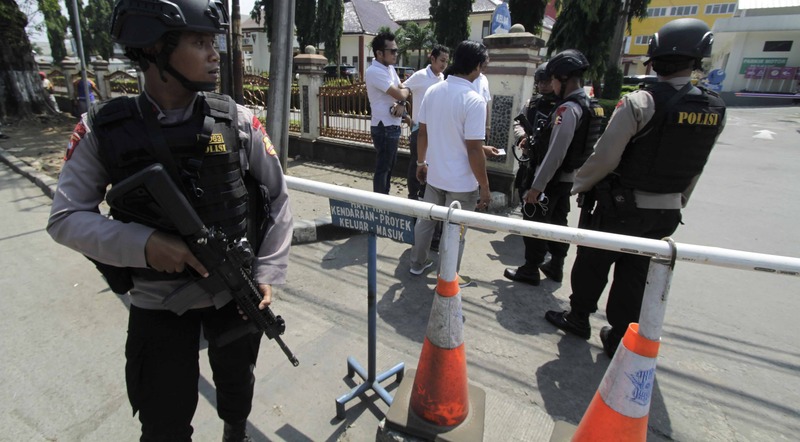 A deadly riot in a police jail south of Jakarta brimming with terrorism suspects resulted in the brutal execution of five police officers, and once again exposed a critical weakness in Indonesia’s counterterrorism strategy. Several hundred convicted terrorists have passed through the nation’s penitentiaries over the past 15 years, but overcrowding and deficient cooperation between security agencies have hindered the management of extremist inmates. Prison-based efforts aimed at deradicalisation have been more experimental and ad hoc than systematic and consistent. The police detention centre turmoil should highlight these shortcomings. Ideally, it will also stress the need to improve infrastructure, human resources, and inter-agency coordination so that prisons can play a constructive role in the nation’s efforts to tackle violent extremism. The near 40-hour ordeal at Mako Brimob reportedly kicked off on 8 May after a terrorism suspect named Wawan Kurniawan burst into rage after being denied food his wife had sent him. The fury quickly spread through the three cell blocks holding terror suspects. Inmates forced their way into supposedly secure areas of the facility, including an evidence room from which they seized dozens of firearms and sharp weapons. Police used a combination of negotiation and, later, tear gas to end the siege, but not before five young police officers from counterterrorism squad Densus 88 were murdered. One inmate was also shot dead by police. Following the riot, Indonesian prison expert Leopold Sudaryono noted the inadequacies of the Brimob facility, including thin walls and insufficient locked gates between various sections. The detention facility was “a dream location for the terrorists”, he said, “because they have access to weapons and civilians nearby”. The number of guards was also an issue. When violence erupted on Tuesday evening, only 13 officers were on duty to oversee 156 terror suspects spread among 42 cells in three blocks. Infrastructure and human resource constraints (amid surging prison populations) are prominent reasons why police prefer to hold terrorism suspects in their own custody for as long as possible. However, eventually most convicted extremists are deposited in the prison system, which does its best to manage them effectively. The prison population in Indonesia has surged in recent years. Between 2004 and 2011 numbers doubled from 70,000 to more than 140,000 inmates. But very little development of prison infrastructure has taken place to match the increase. More than 230,000 inmates are presently distributed among approximately 470 detention facilities throughout the country. Much of this growth can be put down to the government’s tough stance on narcotics. Around three-quarters of the total prison population is now made up of individuals convicted of drugs offences. The national counterterrorism agency (BNPT) has for the past several years run sessions with extremist inmates aimed at deradicalisation. But with some 275 convicted terrorists (not counting the 156 suspects at Mako Brimob) distributed among roughly 70 prisons, logistical problems mean engagements are ultimately few and far between. Prison-based initiatives to disengage terrorists have been trialled in a number of countries over the past decade, although evaluating these programs remains problematic. Governments have produced statistics lauding the success of such initiatives; however, just because an offender has not committed an act of terrorism six months after being released does not mean he or she has been ideologically converted. It is also difficult to prove that certain courses of action prevent something from happening. What is clear is that interventions are more likely to be successfully received if they are personally tailored to an individual’s background and personality, and involve frequent engagements. The less than ideal situation in Indonesia means that BNPT officers can only visit most prisons a few times per year, which makes any lasting impact of their deradicalisation efforts unlikely, however well intentioned. An effective way of improving this efficiency problem would be to train prison staff to conduct the programs themselves. The Corrections Directorate has increasingly attempted to prioritise rehabilitation in its facilities, but programs are mostly for inmates in general, rather than targeted at specific problems. The BNPT conducts its sessions independently, with consultants, such as religious scholars or former militants, brought in to assist. In fact, due to the sensitive nature of data associated with terrorist inmates, prisons are often told very little about the individuals they receive. Police and/or BNPT let prison staff know that a certain inmate is radical and potentially high-risk, but relayed information rarely extends much further. Data is protected to prevent leaks, but the inability or reluctance to share prisoners’ specifics remains an obstacle to effective rehabilitation initiatives. If trained prison staff had detailed profiles of the prisoners they are responsible for, and a predetermined framework for intervention, they could spend time with the relevant prisoners every day. If inmates were transferred, staff would coordinate with counterparts in other facilities to carry the program forwards. The Indonesian Directorate of Corrections is in the process of hiring several thousand new prison officers. It would not take much to provide many of these new officers with the knowledge and skills to engage extremists. Jakarta-based NGOs have already been offering constructive vocational training, and the BNPT has conducted occasional seminars. However, it is difficult to envisage success unless efforts are properly coordinated and relevant information shared among stakeholders under an effective leadership structure. The Directorate of Corrections has been described as a marginalised member of the nation’s criminal justice system. Certainly, the now bulging prison population and insufficient resources present significant challenges, but if there is any chance of reforming extremist inmates, or at least mitigating the risk they pose following release, the prison system and its people must be firmly involved. A broader use of Australia’s ‘declared areas’ legislation should be considered.